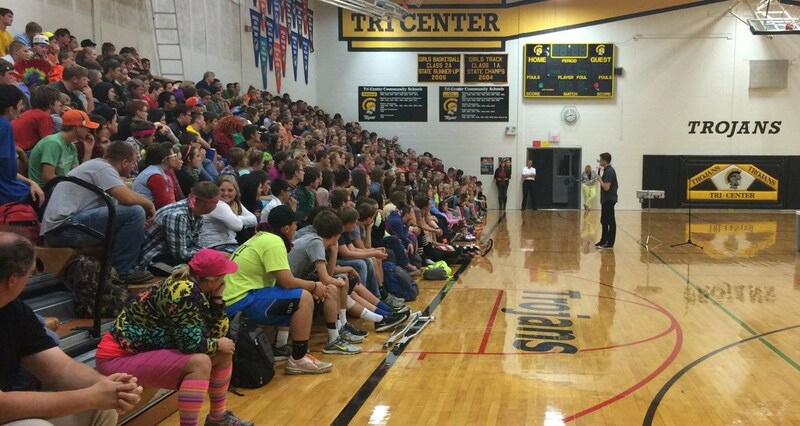 Tri-Center High School and Middle School students were treated to a school assembly featuring speaker, illusionist, and comedian Jared Hall, sponsored by TS Bank, on Tuesday, October 7th. Jared uses illustrations and comedy to motivate students in a positive way; teaching students to never give up on their dreams. His act includes everything from making audience members float, performing a straight jacket escape, and performing card tricks to capture the audience's attention.